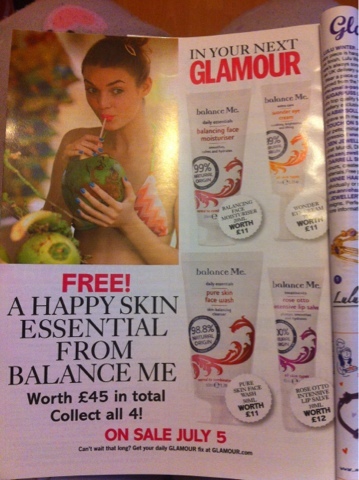 Glamour (£2.00) on sale July 5th. I've personally never heard of this brand but at £2.00 per mag I think I'll be getting them all except for the eye cream as I already currently have 2 full tubs of Soap & Glory Supereyes Supereyes and I don't see me running out any time soon, lol. 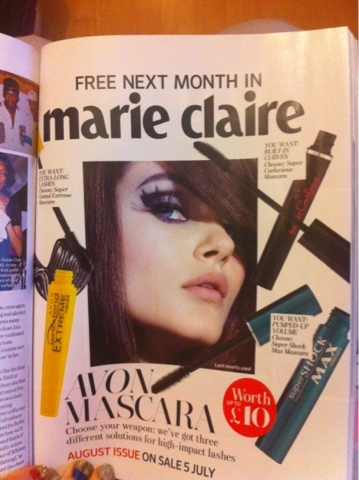 Not sure if I'll get these as I am a Benefit "They're Real" mascara fan, but I might pick 1 up for my mum. 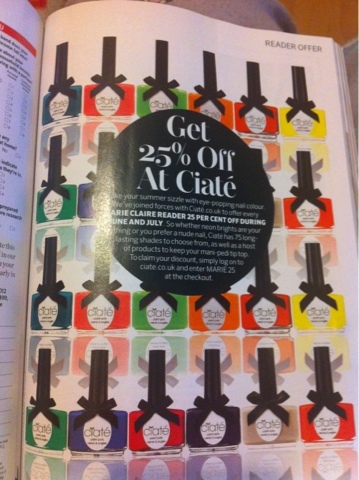 As you've seen in previous posts July's issue of Marie Claire had the choice of 3 Ciaté nail polishes free and to make it even sweeter they have also given us a code for 25% off in June & July. The code is MARIE25. Apart from freebies I'm not very familiar with Ciaté polishes but I think I will have to peruse their website. Do you fancy the look of any of these freebies?